Security and efficiency are two very important parameters in communication systems and you must have heard of the terms. Encryption and Hashing as far as data and computing concerned. Regardless, these two computing terms that can be confusing to many, but this article looks to dispel any confusion by giving a complete overview of the two. A given known input must always produce one known output. Once hashing has been done, it should be impossible to go from the output to the input. Different multiple inputs should give a different output. Modifying an input should mean a change in the hash. MD4 – It is a hash function created by Ronald Rivest in 1990. It has a length of 128 bits and has influenced many posterior designs like WMD5, WRIPEMD and WSHA family. The security of this algorithm has however been criticized even by the creator himself. RIPMEND – It is a cryptographic hash algorithm designed by Hans Dobbertin. It has a length of 160 bits. It was developed in the framework of the EU project RIPE. WHIRLPOOL algorithm – It is algorithm design by Vincent Rijmen and Paul Barreto. It has a length of 2256 bits and produces the 512-bit message digest. TIGER algorithm – It is a new and fast algorithm. It used by modern computers. It hashes more than 132M bits per second. It has thus far proved to be more efficient than all the hashing algorithms discussed. It has no restrictions on its usage that means it has no patents. Hashing can be used to compare a large amount of data. Hash values can be created for different data, meaning that it is easier comparing hashes than the data itself. It is easy to find a record when the data is hashed. Hashing algorithms are used in cryptographic applications like a digital signature. Hashing is used to generate random strings to avoid duplication of data stored in databases. Geometric hashing – widely used in computer graphics to find closet pairs and proximity problems in planes. It is also called grid method and it has also been adopted in telecommunications. Encryption is the process of encoding simple text and other information that can be accessed by the sole authorized entity if it has a decryption key. It will protect your sensitive data from being accessed by cybercriminals. It is the most effective way of achieving data security in modern communication systems. In order for the receiver to read an encrypted message, he/she should have a password or a security key that is used in decryption. Data that has not been encrypted is known as plain text while encrypting data is known as a cipher text. There are a number of encryption systems, where an asymmetric encryption is also known as public-key encryption, symmetric encryption and hybrid encryption are the most common. Symmetric encryption – Uses the same secret key to encrypt and decrypt the message. The secret key can be a word, a number or a string of random letters. Both the sender and the receiver should have the key. It is the oldest technique of encryption. Asymmetric encryption – It deploys two keys, a public key known by everyone and a private key known only by the receiver. The public key is used to encrypt the message and a private key is used to decrypt it. Asymmetric encryption is little slower than symmetric encryption and consumes more processing power when encrypting data. Hybrid encryption – It is a process of encryption that blends both symmetric and asymmetric encryption. It takes advantage of the strengths of the two encryptions and minimizes their weakness. The main idea of encryption is to protect data from an unauthorized person who wants to read or get information from a message that was not intended for them. Encryption enhances security when sending messages through the Internet or through any given network. The following are key elements of security that encryption helps to enhance. Confidentiality – Encrypted message cannot be read or changed by another person. Encrypt – It transforms data in such a way that only specific individuals can transform the message. Granular access control – Users are limited to what they can see and do. It makes auditing for accountability easy. In the case of message leaked, it is easy to trace who did that and when thus security breaches can be sorted out efficiently. Authentication – the origin of the message received can be traced thus facilitating authentication. 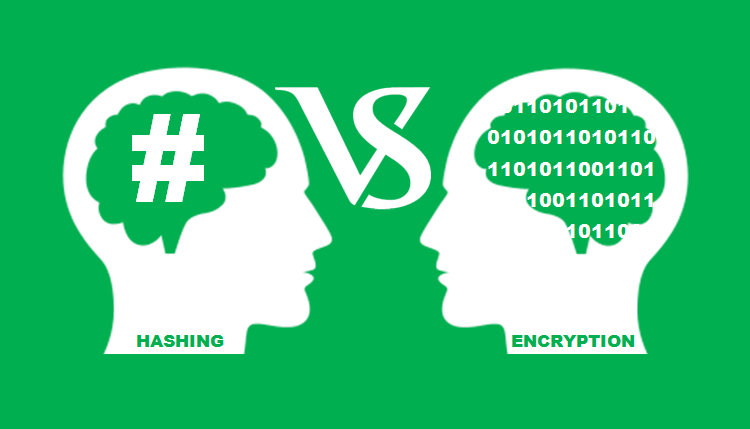 Hashing and encryption are different but also have some similarities. They are both ideal in handling data, messages, and information in computing systems. They both transform or change data into a different format. 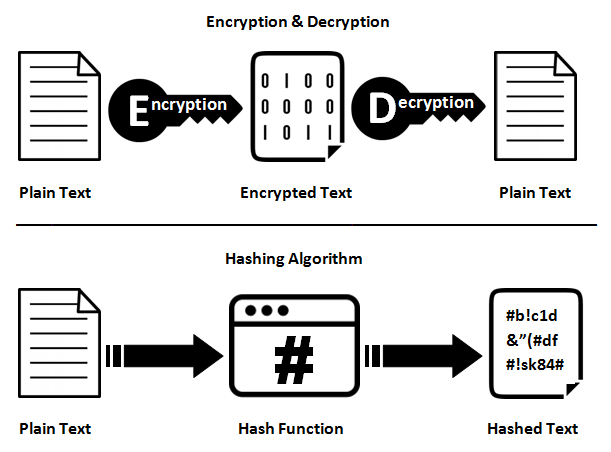 While encryption is reversible, hashing is not. Future improvements are very crucial given that attackers keep changing tactics. This implies that an up-to-date way of hashing and encrypting is more palatable in modern computing systems.